Get your little one a Mickey Round 3 Section Dinner Plate - @home by Nilkamal, Multicolor and surprise them with this cute little piece of cutlery that will light up his/her day. Mickey is every child's best friend, so let your little one enjoy his/her meal with his favourite cartoon character. 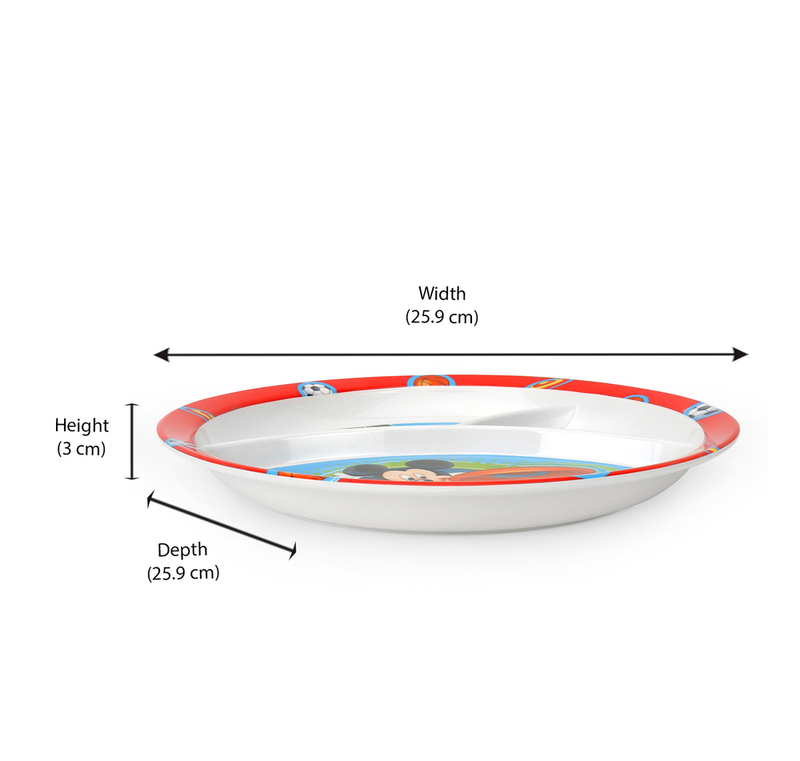 This tuff melamine plate is smartly designed with the right number of sections for your child to have a proper meal, adding a glimpse of mischief to their everyday meal. There's a quirky print of Minnie, Mickey and their dog Goofy on each compartment which gives a very playful vibe overall. Refresh your everyday cutlery with some cute kiddish items to give your diner a divergent look.